"Affordable" used loosely – none of it's cheap. 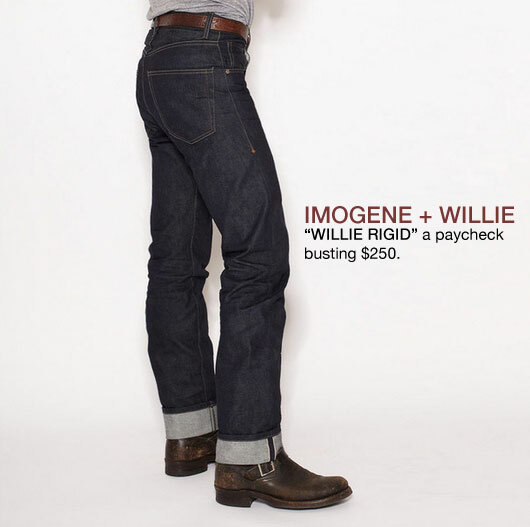 I'm a big fan of Imogene + Willie's jeans, especially the classic Willie Rigid. While I'd love to support a local business (I'm in Nashville) and I don't doubt their quality, the price at $250 is holding me back a bit. Do you have any recommendations for something similar that won't set me back so much? – Brad B.
Ahh, the great denim dilemma. Where to find high quality selvedge/raw/dry– the stuff that feels like cardboard at first but will wear in and mold to your body quite nicely over time–at bargain prices. I admit to not being a denim expert. In fact I only own one pair of jeans. I much prefer other versions of trousers, but there are plenty of denim heads out there who wear and swear by the stuff. In that case you may find it difficult to find a good pair made of the best denim (usually from Japan) at less than $250. Many options go for over $300 and a bespoke jeans from Brown, Deim will run you over $500. Fear not my friend. There are plenty of options for the sub $250 market and we’re here to explore them. A brick and mortar shop located in Richmond, VA with an online store front which exclusively sells independent labels from the US and abroad. Need Supply carries several high end and lesser known denim brands like A.P.C, Ruell and Ray, Naked and Famous and others ranging from $40 to $300. Fits are offered in slim, straight, and relaxed and raw denim is available as well. The GAP is another resource for selvedge denim. 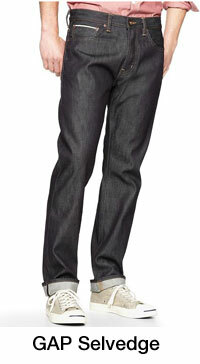 GAP options come in one color and fit that sits at the waist, straight through the thigh and has a tapered leg. At less than $90 it’s a strong entry level consideration. An online store front which offers a full range of apparel and several denim options from $148-$345. Most of the brands are independently owned and/or manufactured in the USA or Japan. Pick your poison from Momotaro, Jean Shop, Kapital, Left Field, and The Stronghold. To sweeten the pot Context also offers free shipping. The ubiquitous collaborator offers several selvedge options from their in house label to their exclusive partnerships. 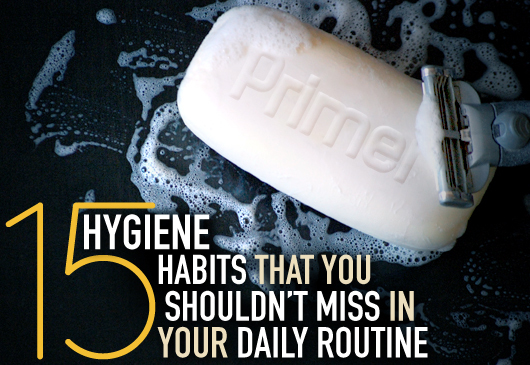 Fits and washes vary across the board. The in-house label comes in a slim-straight (slim) and 484 (slimmest) fits. Washes range from dark solid to washed out white. Partnership offerings come from Wallace and Barnes, Levi’s, Lee, and Chimala. Prices range from $155-$350. Gustin is a newcomer to the denim world but have been manufacturing men’s apparel for the last six years. Their denim is hand crafted in San Francisco, crowd sourced amongst your peers, and sold at wholesale prices. $81 to be exact. Gustin is wrapping up their exceedingly successful Kickstarter campaign to raise funds for their denim project. Two resources for more information on Raw Denim… http://weftyandmash.com has extensive in-detail reviews of many pairs of raw denim including Tellason, Raleigh, GUSTIN, Unbranded, and a few others. http://Rawrdenim.com has tons of pictures and information to sort through, and if they are missing information on a specific brand of Raw Denim, it may as well not exist. 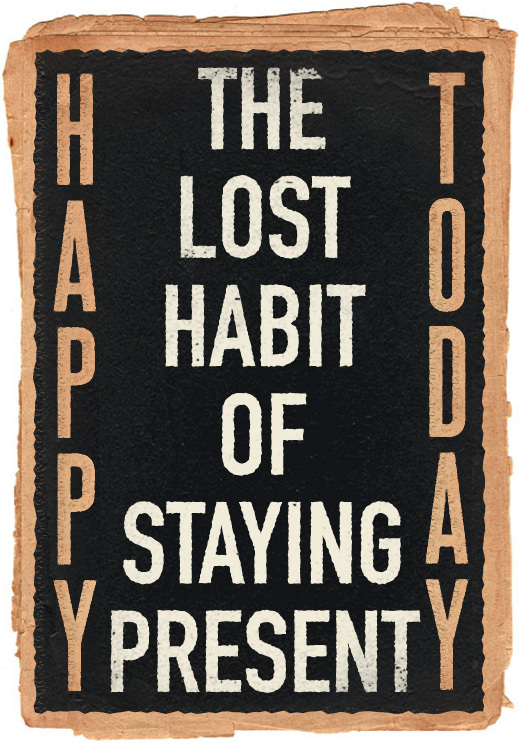 I would also suggest checking out http://www.selfedge.com. They have stores in NY, LA, and SF and carry a large number of brands. Absolutely, and Kiya at Self Edge is one of the most knowledgable people in the world when it comes to Raw Denim. Urban outfitters sells naked and famous unbranded 14.5oz selvedge denim for ~$80. Hands down best entry level raw denim. Thank you for actually admitting that selvedge isn’t really affordable. I always see the word “affordable” paired with articles about selvedge jeans, then see $150 price tags. Not exactly affordable for a young dad with 2 kids. Great article! Todd Shelton has US Made Selvedge in a few different fits and washes. Very nice and very well made. $156. Thanks for looking into that! You’re right, “affordable” is a pretty relative term when it comes to high-end denim. As someone that is new to the world of raw denim I have a couple of simple questions for you. First, do the terms “raw” and “selvedge” mean the same thing or is there a difference between the two? Also, how do the jeans in this article compare to the Levis 501 STF jeans? Selvage (self-edge) is woven on a special type of loom that creates a self hemmed edge as opposed to a frayed edge. You can identify selvage denim by the seams. One seam will be neatly self contained while the other (where the fabric was cut) will be frayed. Selvage denim has a unique rhythm woven into the fabric. Check out Cone Denim Mills. I’m a big fan of my levi 514’s. I don’t have any plans to upgrade any time soon. I’m sure they are fantastic jeans but I’d prefer to spend my money elsewhere. JCP just launched a new selvedge denim as well under their label Arizona for $35. I bought a pair about a week ago and can’t stop wearing them….especially for the price. I second Todd Shelton. I have two pairs of his jeans. I used to have just one pair. I wore them as my go to pant for about 60% of the time. It only took my a little over 22 months to wear a hole in one spot. If you are looking for an even more affordable pair. Check out Diamond Gusset jeans. They make a great a product that is also made in a America. Check out Huckberry.com for Tellason denim. i own a pair of Tellason slim straight jeans and they are amazing! 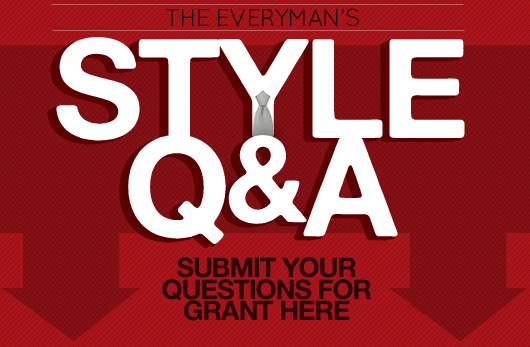 what do tailors typically charge to get selvedged denim tapered? also, is there a specific keyword i should use when i ask him/her to taper it? ’bout $60, check out railcarfinegoods.com. call them and tell ’em exactly what you want.